Last week’s release of the “smoking gun” email from White House NSA staffer Ben Rhodes demonstrates that he provided Rice with additional talking points for her upcoming appearances, and makes it clear that there was a second secret set of talking points. Those were the ones Rice actually relied on. That’s where she got the phony stories about the internet video and the unplanned demonstrations. Almost immediately after the attack, Obama’s political operatives began a coordinated public relations campaign — on two fronts — to protect the President’s image during the presidential campaign. This was done by creating parallel talking point memos on Benghazi. One set came from the CIA, at the request of Select Intelligence Committee Chairman Rep. Mike Rogers. That’s the one we all know about. But there was another, more extensive, more political and more explosive document that was also in the works on Sept. 14, 2012. 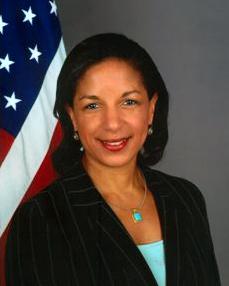 That secret memo advised then-Ambassador Rice to make the false claims. Morell knew it wasn’t about the video and he also knew there had been no protest, either. Just hours after the CIA sent its “talking points” memo to Congressman Rogers on Sept. 15, 2012, the CIA Libyan station chief reported that there had been no ground demonstrations. Morel reported this information to Denis McDonough, Obama’s National Security Adviser (the CIA didn’t bother to correct their own talking points). So before Rice went on TV, the White House knew that the directions they were giving to Rice lacked even a shred of truth. But that didn’t stop them from spreading the fake propaganda. Until this week, only the CIA “talking points” were made public. There was no reason to assume there was another set of talking points. The second set of talking points was pure political spin created by the White House in order to maintain the campaign fiction that al-Qaida was on the run after the assassination of Osama bin Laden. And they didn’t want anyone to know about it. The directive to Rice was found in an extensive email only recently disclosed after a court order in the Judicial Watch lawsuit. The White House failed to produce it to Congress when it subpoenaed documents related to Benghazi in 2013. It’s not surprising that the Obama administration wanted to keep it from the public. Entitled “PREP CALL with Susan,” the email included specific propaganda goals and inaccurate points they wanted Rice to make on the Sunday talk shows on Sept. 16, 2012. Straddling between the two documents was Obama speech writer and foreign policy spinner Ben Rhodes, who along with authoring the email to Rice, was busily emailing back and forth with CIA, NSA, and State Department policy makers. Rhodes was ambidextrous that day — working on the CIA talking points on the one hand and Rice Talking Points on the other. Rhodes circulated the White House talking points to all the political operatives in the Obama universe and to Rice’s deputy. He sent it to the Obama campaign spin doctors and political staff, including former Obama Campaign Manager David Plouffe, who The New York Times described at the time as “the main orchestrator of the White House message, political strategy and day-to-day presentation of the candidate [in the 2012 election],” and to White House Press Secretary Jay Carney, Deputy Press Secretary Joshua Earnest, then-White House Communications Director Dan Pfeiffer and then-White House Deputy Communications Director Jennifer Palmieri. So, all of Obama’s close political cronies were aware of the audacious decision to invent an alternate narrative about the cause of the attack. Rhodes also attached Hillary Clinton’s previous remarks blaming the attack on the video, a press report discussing the video and the need to respect all religions, and some sample answers to anticipated questions. So, it was from the Rhodes memo, not from the CIA talking points that Susan Rice got the idea that she had to blame the Benghazi deaths on the video. And for the past year and a half, neither Rice nor Obama’s political operatives have disclosed the second memo when questioned about the basis for Rice’s statements. By concocting a second set of “talking points” and pushing a fake storyline that deliberately mischaracterized the attack, the Obama administration was groping for political cover. Now, instead of cover, they’ve got more political problems.